Weekend Pick: Samedi Gras – Great Big Fat Saturday Bash in Durham! Take one part New Orleans, one part Carolina, add a dash of Durham craziness and toss in your dancing shoes. What do you get? How about the hottest way for you to spend your Mardi Gras Saturday night? It’s brought to you by the same folks who every year bring you the biggest Fat Tuesday celebration around, Durham Mardi Gras, so you know they know how to get the party started! 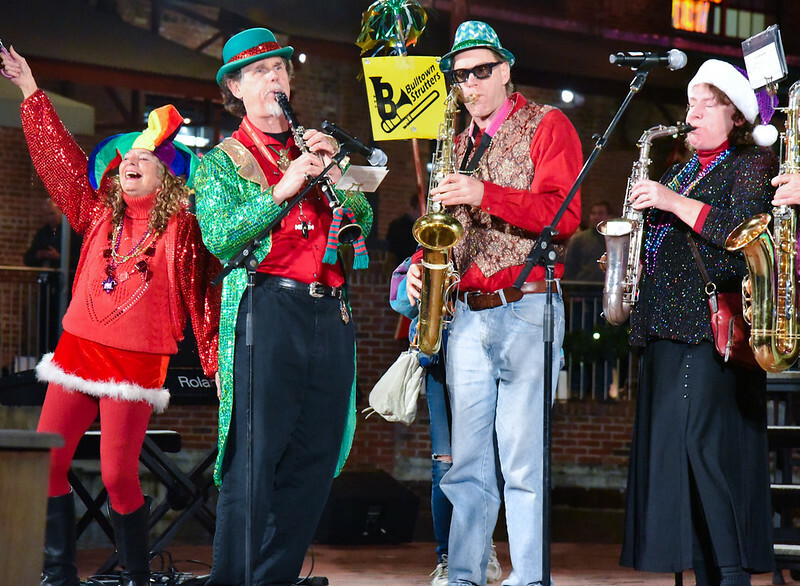 Kick off the weekend with “Fat Saturday Night” New Orleans style with the area’s most beloved second line band, the Bulltown Strutters and follow that up with a taste of Carolina in the form of the frenetic, hyperkinetic and wildly popular Ellis Dyson and the Shambles. That’s two bands in a row that you can’t not dance to! Still not enough? The event organizers are following the old New Orleans tradition and giving away a bowl of FREE red beans and rice to the first 100 people in the door. And, you can wash it down with the finest beer in the Triangle, on tap from Hillsborough’s Mystery Brewing Company. Tickets just $12. All proceeds benefit Durham Mardi Gras to help provide a free and open Fat Tuesday for all of Durham.